The Los Angeles gym is a great oasis in the sometimes crowded bustle that is our city of Los Angeles. 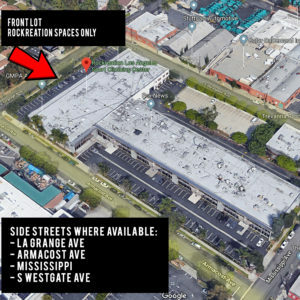 With 10,000 square feet of climbing wall and a 1,500 square feet of fitness area, there is a lot to do for all ability levels. There is a large boulder area, 200+ top-rope routes, and a lead area with an arch that has routes up to 65 feet in length. 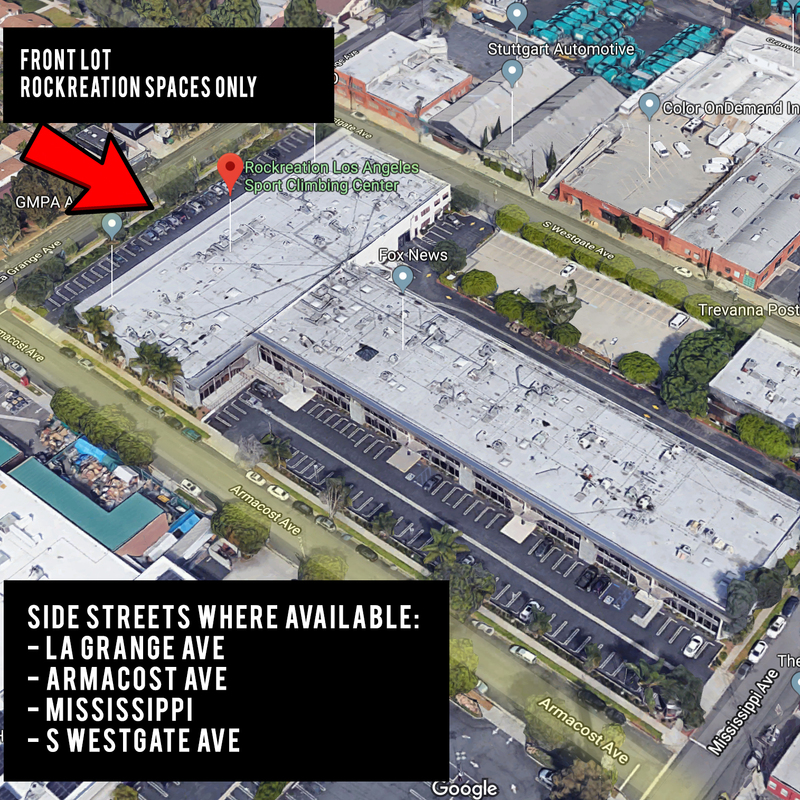 If you want to train for outside, or get a workout in as you hide from traffic on the 405, Rockreation Los Angeles has something to offer you! 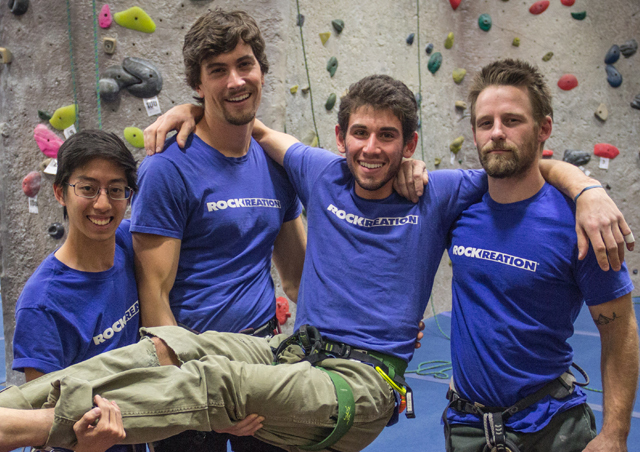 Rockreation has been a local resource for the climbing community for training and education for over twenty years. Within our walls we have grown as the sport of rock climbing developed from a little-known activity to an internationally appreciated sport for kids and adults enjoyed at various levels of difficulty. 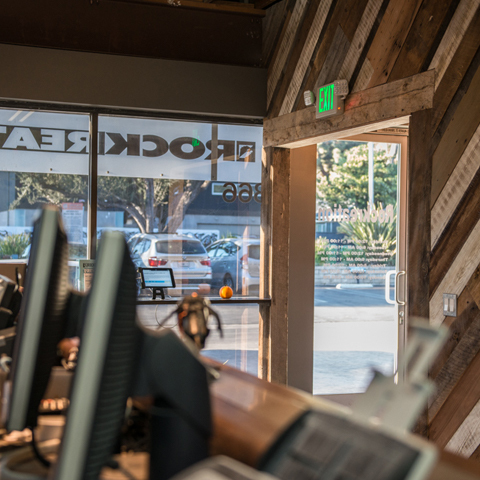 We’re proud to be part of rock climbing roots in California and aim to incorporate our members into the rich history of climbing by giving them everything they need to thrive in this amazing sport. 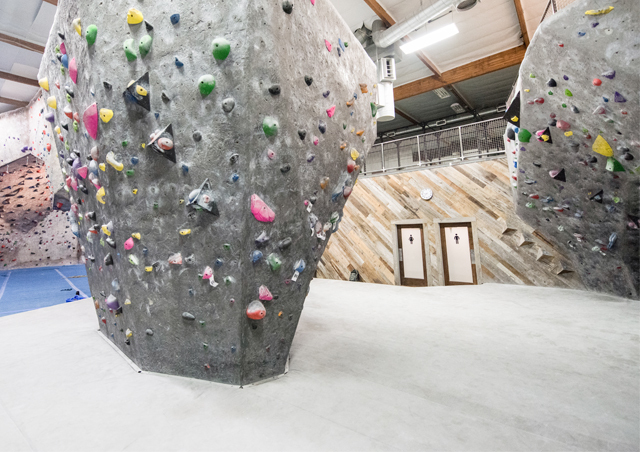 To keep up with the demands of the ever-growing climbing community, we strive to keep our facility up-to-date whether that means newer and better cross-training equipment, new walls sets, various offerings in fitness and yoga or different and unique styles of route setting. We try to give our members something new to explore and a community in which they feel comfortable pushing their boundaries with all the right tools to train safely and effectively. Our staff is comprised of climbers first – climbers who are motivated in providing a safe, fun and educational community that inspires others to become a part of the rock climbing legacy of California. They have a wide range of abilities across all disciplines and boast real-world climbing experience from all over the world. Many have learned the who, what, where, why and how of the climbing world through years of practice, training and torn cuticles. Want to know about climbing? Just ask. They love talking about it! "I love Rockreation for the feeling you get when you walk in there! Great community and wonderful staff. Add to that the routes are easily the best and most creative I have found set at any gym so far. Not the tallest walls in Los Angeles but definitely my favorite! " Rockreation endeavors to bring all aspects of climbing to our visitors, whether they be seasoned veterans or first-time climbers. 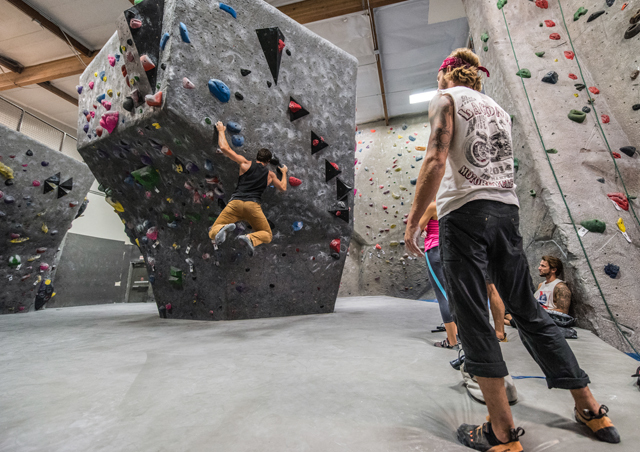 With a long tradition of professional instruction, our facilities cater to continued learning in the sport of rock climbing and it’s various disciplines while maintaining industry-safe practices, a fun environment and a community-centered atmosphere. We know climbing isn’t just about climbing for many of our visitors and at Rockreation we want to give you the tools to improve your training and diversify your selection of activities within our doors. Enjoy a range of cross training options to add to your routine or to just have fun with something new! Rockreation’s tradition has been long grounded in the fostering of new climbers. Our facility values its reputation for learning and strives to provide a thorough curriculum of climbing instruction at all levels and ages that is current on the best safety practices and techniques in the sport. Our instruction staff are as excited as they are proficient in the climbing disciplines and trained to provide you with the best learning experience whether it is your first time climbing or you’re looking to improve. We specialize in kid’s programs and you training at Rockreation! Private instruction, small groups or birthday parties, Kid’s Climb, Climb Time, Club Team and the competitive Rock Warriors team all work with out skilled and experienced staff to create a fun and challenging environments for kids 6 and up. 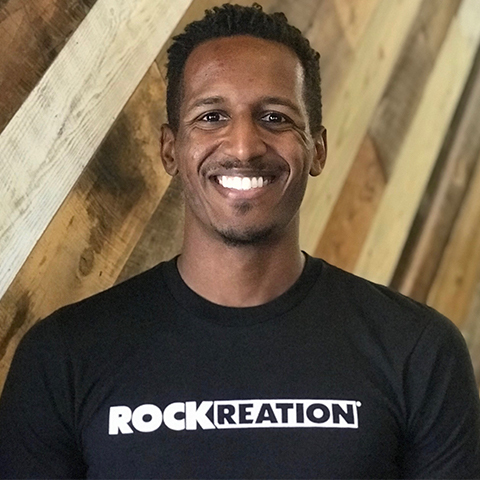 ''It was my first time at Rockreation because my friend wanted to go and I must say I fell in LOVE. What an amazing experience and workout. Really works your whole body, and feels great when you reach the top. I plan to come to Rockreation with my friends more often since it's a lot of fun, and is a great workout." 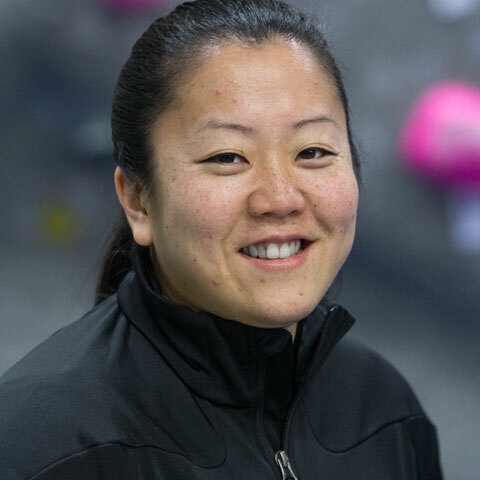 Jennifer Tanaka, a California native, discovered rock climbing in her early 20s and has fallen in love with climbing over and over again. Rockreation will always be home base. Climbing outdoors at the local crags helps her to reconnect with nature. Red Rocks sandstone is her favorite place to climb outdoors and when not working or climbing, Jennifer studies martial arts at a local Kung Fu school. Jennifer is excited to be a part of the Rockreation Team, bringing climbing to the Westside for over 20 years. Steve likes to keep people guessing. Each route he sets endeavors to be different than anything else on the wall and his style of routesetting is a combination of the training options and straightforward nature found in good commercial setting, and the flair and showiness of competition style. He has traveled all over the country setting competitions for youth and adult athletes, and has learned something from each experience. Steve loves setting routes that just jump off the wall, routes that you just HAVE to climb and he’s looking forward to being able to bring a product to Rockreation that is world class! 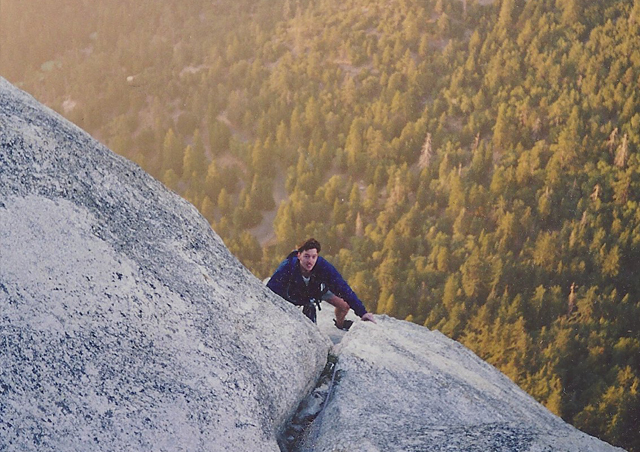 Lee moved to sunny California as soon as he graduated college and immediately fell in love with rock climbing! He found Rockreation when looking for fun activities around LA and hasn’t been able to leave since. Having worked in many different areas, from non-profits, to adventure courses, to TV post production, Lee is very excited to join the team and help spread the loving community that is climbing! 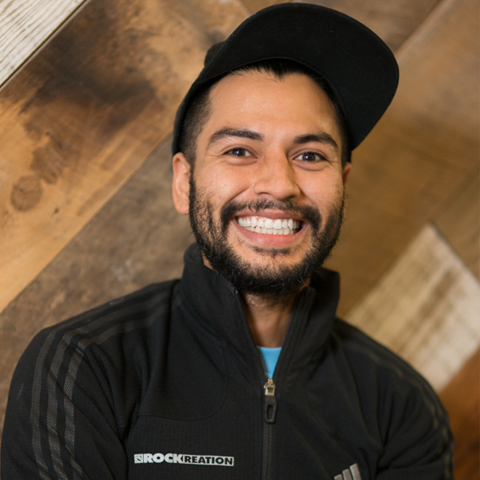 Despite being born and raised in LA, Jake Sanchez did not discover rock climbing until after he was involved in a motorcycle accident, which led to the loss of his left leg. Jake stumbled upon rock climbing when his brother took him climbing a year after his accident as a birthday present. Rock climbing helped Jake feel like his old self again. He was able to find something physically challenging that was low impact on his residual limb. Jake started at Rockreation as a front desk staff member and after taking half a year off to travel Europe and climb, Jake returned to Rockcreation. Now a days he is the Head of Instructor and the Director and Creator of our Adaptive Climbing Program. When he is not working he is competing nationally or working on his projects outside. Jay is originally from Detroit, Michigan and has been living in LA for about 7 years with his wife Priya and two-year old daughter, Jade. He’s been really active his entire life from starting Karate when he was 13 through working in Hollywood as a stunt actor for almost 8 years! 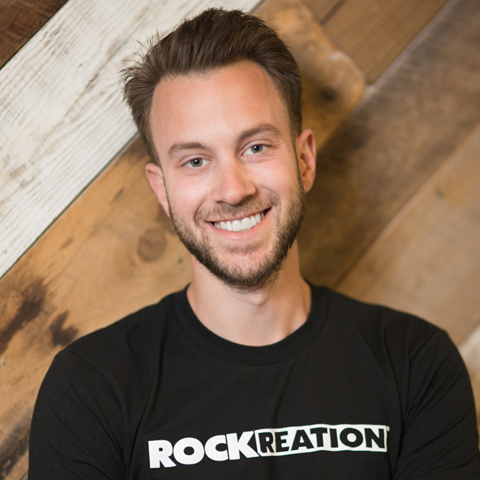 Jay’s interest in rock climbing comes from meeting Rockreation’s manager, Jenn Tanaka during their training in Kung Fu together where she told him about the importance of grip strength and the techniques needed for rock climbing and he was sold! Although Jay has only been climbing for a couple of years, he really enjoys teaching and working with kids and in the health and wellness field. 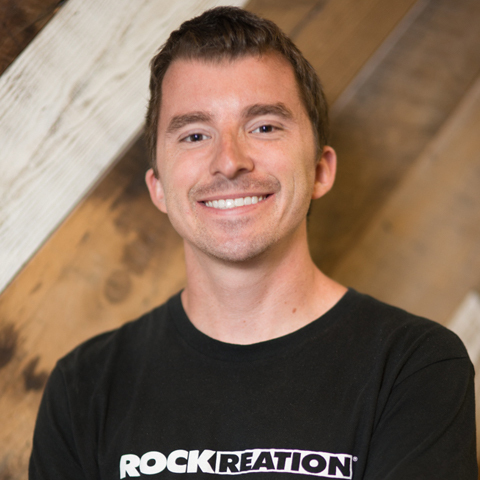 Looking to Work at Rockreation? Rockreation is an engine that wouldn’t work without all our dedicated staff. Admin, desk staff, instructors, routesetters, belayers and managers all work together to keep Rockreation a legacy in the Los Angeles area and a known source for climbing knowledge, safety and experience across the international climbing community! Thanks for choosing Rockreation for you climbing, fitness, and recreational needs. Our vision is to be the place you can come to explore climbing for the first time, or train for hard climbs outside. We want to create a sense of community around overall fitness and health that transcends just working out. Rockreation is a place that helps you achieve your goals for health and fitness, whatever they may be. So, train hard and play hard, and let us know how to help you get there.